What Is the Difference Between 3G-SDI and HD-SDI? It is known that SDI interfaces can be roughly divided into three types: SD-SDI (270Mbp, SMPTE259M), HD-SDI (1.485Gbps, SMPTE292M) and 3G-SDI (2.97Gbps, SMPTE424M). It is seen from these standards of division that the rate is an important index. For HD-SDI and 3G-SDI, as the commonly-used two types in the radio and television industry, maybe there are still many people unfamiliar with them and what difference between them. Then in this article, there will be an introduction to the difference between HD-SDI and 3G-SDI. Before the introduction to HD-SDI and 3G-SDI, to understand them better, it will be better to know what SDI is. SDI (Serial Digital Interface) is a digital video interface standard made by SMPTE organization. This serial interface transmits every bit of data word and corresponding data through a single channel. Due to the high data rate of serial digital signal (a kind of digital baseband signal), it must be processed before transmission. 3G-SDI has been widely used in the radio and TV industry. With the continuous development of the security industry, its advantages, high speed and without digital uncompressed, are gradually found. At present, a large number of 3G-SDI series products have been introduced in the market, including SDI conversion equipment, SDI digital switching matrix equipment, and SDI distributor. These devices use 3G signals, and can also be compatible with 1.5G signals for long-distance transmission to meet the diverse needs of users. HD-SDI is a high-definition digital component serial interface. HD-SDI is high-definition radio and television camera which is real-time and uncompressed. It is another scientific and technological progress in the security monitoring field. It provides a high-definition image source for the monitoring center. The HD-SDI camera, based on the serial link standard of the SMPTE (film and television Engineer Association), is a high-definition and real-time video camera that transmits uncompressed digital video through 75-ohm coaxial cables. The design and production of HD-SDI optical terminal equipment is suitable for serial digital optical transmission equipment with high reliability and high performance in the TV industry. The signal format is from 19.4Mbps to 1.485Gbps, and the system supports the signals with digital TV formats such as SMPTE292, SMPTE259M, SMPTE297M, SMPTE305M, SMPTE310M and DVB-ASI (EN50083-9), so as to satisfy the requirements of industrial products. 3G-SDI digital video optical terminal device with ultra high definition is an upgraded version of the HD-SDI optical terminal device. The signal format is from 19.4Mbps to 2.97Gbps, and the system is accorded with the signal of digital TV formats such as SMPTE424M, SMPTE292M, SMPTE259M, SMPTE297M, SMPTE305M, SMPTE310M, DVB-ASI (EN50083-9) and so on. With the emergence of standard about high-definition(HD) video standards such as 1080i and 720P, the interface is adjusted to process higher data rate(1.485Gbps). The 1.485Gbps serial interface is usually called as HD-SDI interface, defined by SMPTE292M, and uses the same 75-ohm coaxial cable. SMPTE approves a new standard called as SMPTE424M, which doubles the SDI data rate to 2.97Gbps on the same 75-ohm coaxial cable. This new standard is also called 3-Gbps (3G) SDI, which supports higher-resolution image quality such as 1080P and digital cinema. At present, the highest rate of digital products is 7K-SDI. Above all is about the difference between HD-SDI and 3G-SDI. 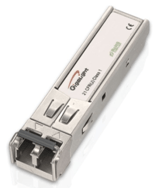 For SDI series products, Gigalight currently has 3G-SDI SFP, 6G-SDI SFP+, 12G-SDI SFP+ optical transceiver. If you want to know more details, welcome to visit Gigalight official website. 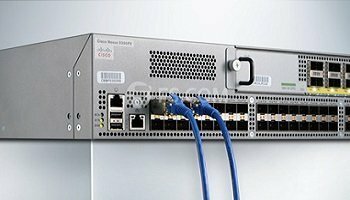 Tagged 12G-SDI SFP+, 3G-SDI SFP, 6G-SDI SFP+, What Is 3G-SDI?, What Is HD-SDI?, What Is the Difference Between 3G-SDI and HD-SDI?